"This just in! Authorities are searching for the Alien, escaped from Area 51 and marking people with out-of-this-world art everywhere!" "Stickin' it to the Earth for 39 years!" 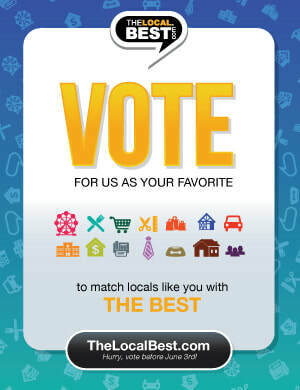 Don't forget to vote for us as your Local Best favorite! Welcome to the new AlienandCo.com! Proudly designed and continuously maintained by WebWorkings Co.